You mix all these ingredients very well and then split them into 4 pieces. From these 4 pieces, you will bake 4 cake sheets. (If you click through cake sheets, you will find out how to make them ). Don`t worry if the cake sheets tend to get upwards, just push them down with the cream, and they will be just fine. Mix the sugar with the flour, then add the eggs. Peel off a lemon and put the lemon zest and mix it with the composition you just made. Warm up the milk very well, almost boil it. Pour the milk in thin stripes over the composition, and cook it until the cream is stiff. Then add the lemon juice. Once it`s cooled, add the butter and mix it very well. Now, your lemon cream is done. Finally, you will have a cake with 4 layers, with lemon cream between the cake sheets. You can slice it as you like, rectangular or square. Later edit: Here is my post on cake sheets. Linking up with these amazing parties! Come and join us HERE. 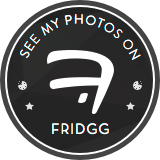 Hi thanks for sharing this dessert recipe! It looks so good. Thanks too for stopping by my blog. I'm following you on google + have a nice weekend. Thank you for your kind words! And for the invite, I will be joining your party! Thanks Michelle. The baking soda is usually used for the puffy cakes, the ones that have to rise. As the cake sheets aren`t puffy, they still need some ammonia to make them a little bit soft. That looks and sounds delicious!! This lemon cake looks tasty. Thanks so much for stopping by the blog. Pinned! Interesting recipe and sure is delicious! Thank you Maria. And yes, it is very delicious! This looks awesome! Thanks for your lovely comment on my blog.. Very interesting with the ammonia in the cake. Thank you for sharing at Ravenwould. This looks like such a unique cake! I love lemon, so I'm sure it's yummy. Thanks for sharing at the Family Joy Link Party! The hint of lemon makes this cake so sweet and I love citrus. I never bake but this recipe looks worth trying soon. Oh yum, this looks so tasty! I've always been a fan of lemon cake. I'll have to try this. Lemon cake is my favorite during Summer. The flavor is perfect. So will try this. Lemon cake is my absolute favorite flavor, but it is so rare that I can get it. This is so easy to make and I may have to make it next time I am in that baking mood. 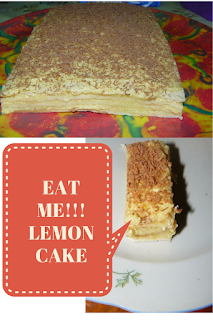 I love lemon flavoured desserts, this looks so delicious! Thank you for sharing your family recipe. Im sure this cake was made with love. Looks delicious I wish I could try this homemade cake! Loved your story about the name for this yummy desert & glad you decided to stick with the family name versus coming up with a new name that wouldn't mean as much to you. Ohh... That looks and sounds delicious! Thanks for sharing it. Yum, this cake looks good! I wish I saw this before father's day I would have made it for my dad he loves lemon! Oh wow this looks yummy and so easy to make. Been wanting to make a cake just kind of bored of your standard white cake. Omg can we say yum! I’m always looking for new dessert recipes! Must give this a try! I love anything with lemon. So this is a nice recipe for me to follow, need to bake this at home. thanks! YUM! I love lemon desserts. I agree, would bamazing with some chocolate on top! Interesting. Seems like a recipe that I could try. I love anything lemon so I will be trying this one. Thank you so much ! This is definitely a unique recipe!! I will have to put it on my list to try! Love the layers. This looks really delicious and looks easy to make too which is what u love. I am all about cake, so I'll have to try this. It sounds and looks tasty. I love that there's chocolate too. Yum, lemon is one of my favorite flavors in desserts. This cake looks amazing and pretty easy to make as well. 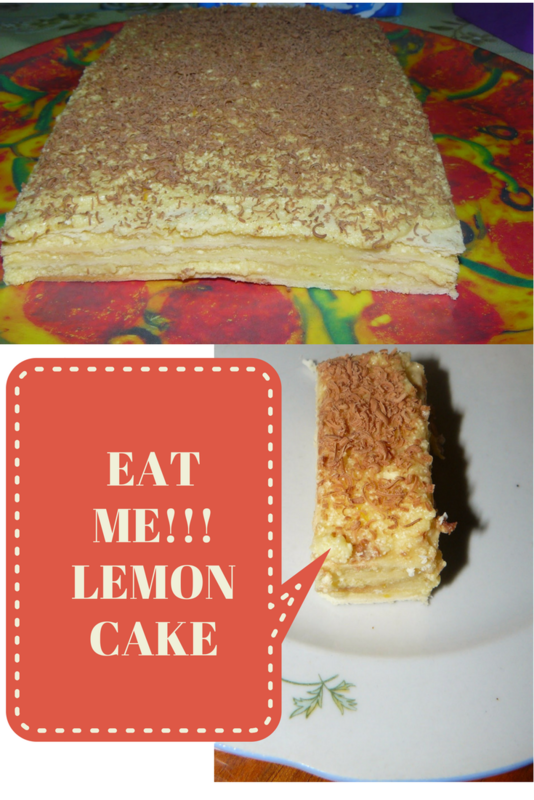 These lemon cake looks yummy! Lemon is one of my favorite flavor. I can't wait to try it. The finished product looka delicious. Am a fan of lemon cake. Lemon cake!!! I love this kind of cakes. Not too sweet. And I especially love that hint of zest in each bite. I would definitely try this next Sunday (my baking day). Thanks for sharing your recipe! This cake looks so yummy! I love desserts haha. You had me at cake! This recipe is right down my alley. I might try making this for my family. Thanks! I love lemon cake! I would love to try this on weekend. Thanks for sharing! this looks amazing. i cant wait to try! I've always loved the tingy lemon taste so I make sure to include lemon in many of my recipes. I've made a lemon cake before and it's so tasty I must agree.